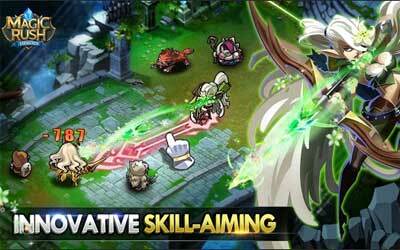 Previous version Magic Rush: Heroes 1.1.135 apk for Android will help you to downgrade or install older app easily. This is one of the best Role Playing apps. Sebastian: Time Reversal – Periodically casts Time Reversal for teammates. When a unit with Time Reversal takes lethal damage, his or her HP will revert back to its level 8s before death, also receiving greatly increased attack speed, AD & AP. Feast: Increased healing amount to teammates. Elven Summons: Increased elf’s HP, which will grow as Merlynn grows. Cerberus: Raised his base attack speed.